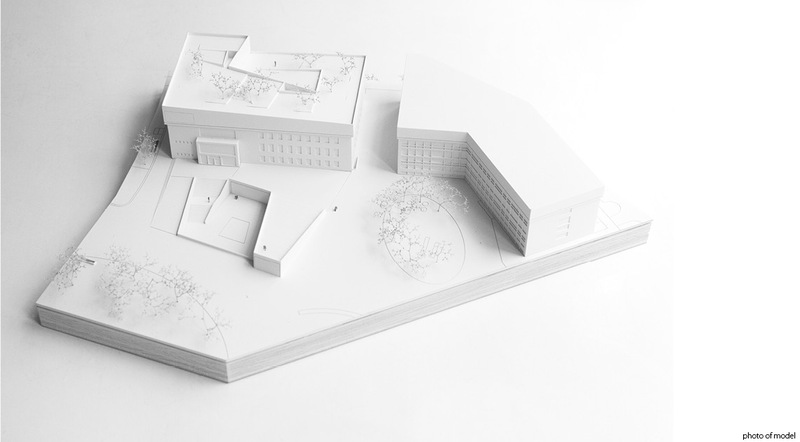 Submission for an open architectural competition to design an extension for the Wien Museum, a historical museum located at the central Karlsplatz in Vienna. 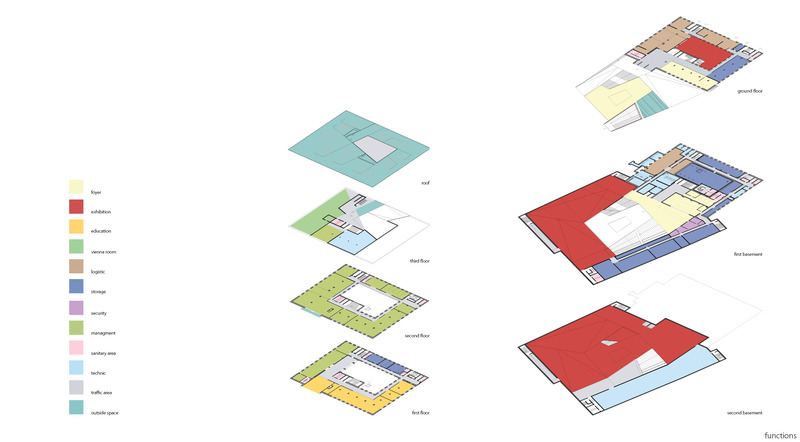 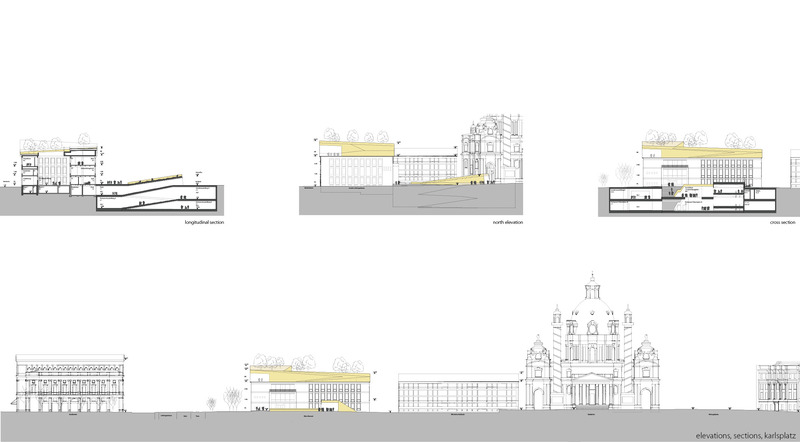 Our submission was characterized by the following elements: Introduction of an open space directly in front of the museum. 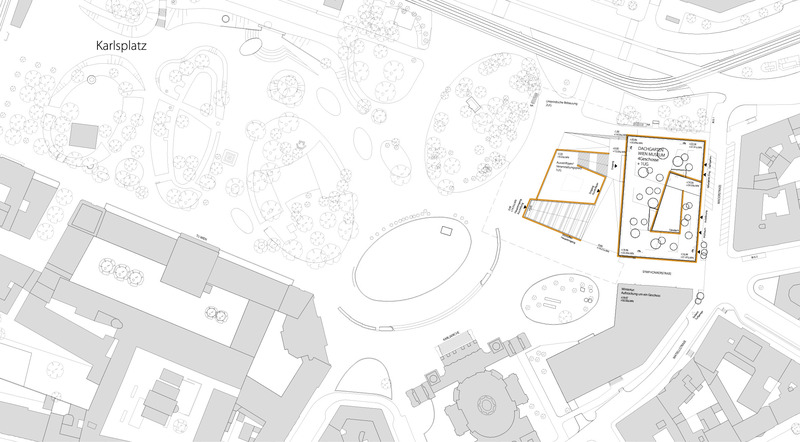 This clear area, occupying a prestigious position next to the Viennese landmark Karlskirche (St. Charles Church) could serve multiple uses, notably as a space for open-air concerts and unstructured leisure activities. 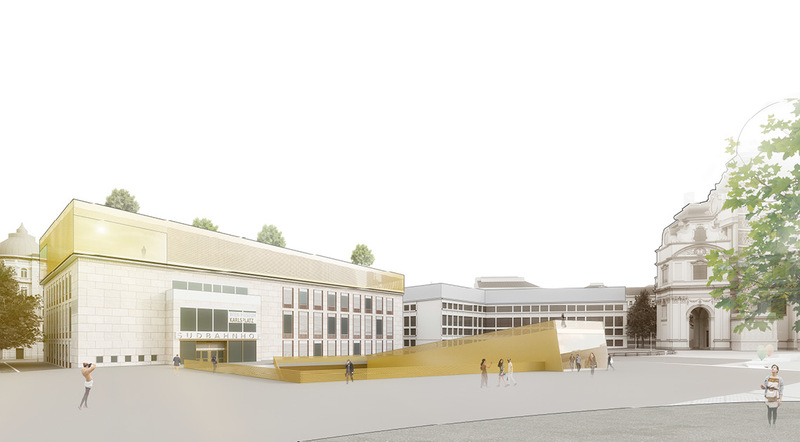 A ramp-like structure extending beneath the Karlsplatz including new space for exhibitions and the main atrium. 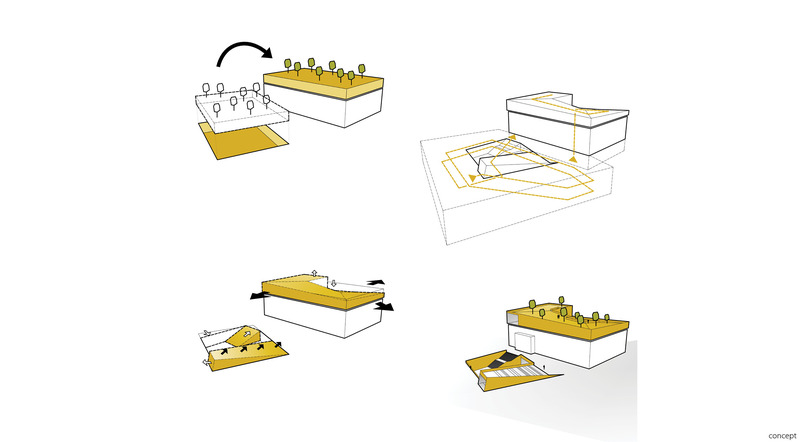 The roof of the museum would be reimagined as a public space for relaxation and play, extending the park-like area surrounding the museum to include the very structure of the museum itself. 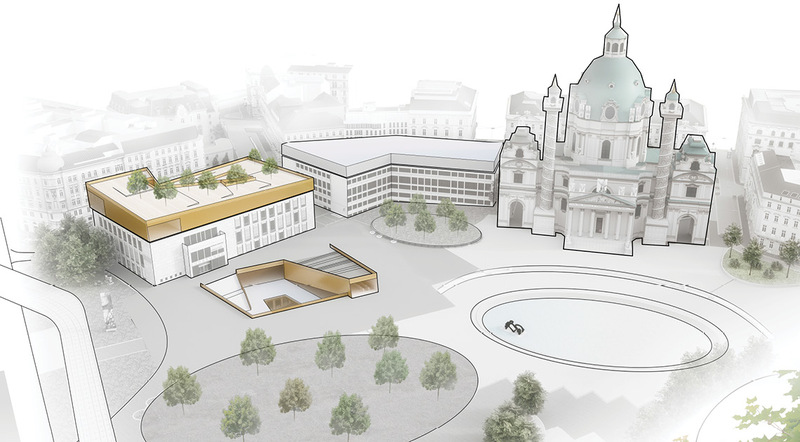 The terrace would offer a new and impressive view on the Karlskirche and Karlsplatz.